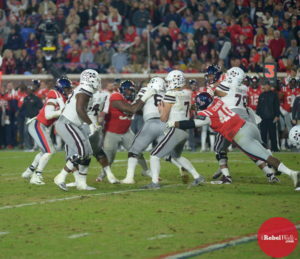 Each week, The Rebel Walk’s Jeff Tetrick takes a look at the Ole Miss Postgame Points, examining five takeaways from the Rebels’ most recent football game. Here are his Postgame Points from the game against Mississippi State. 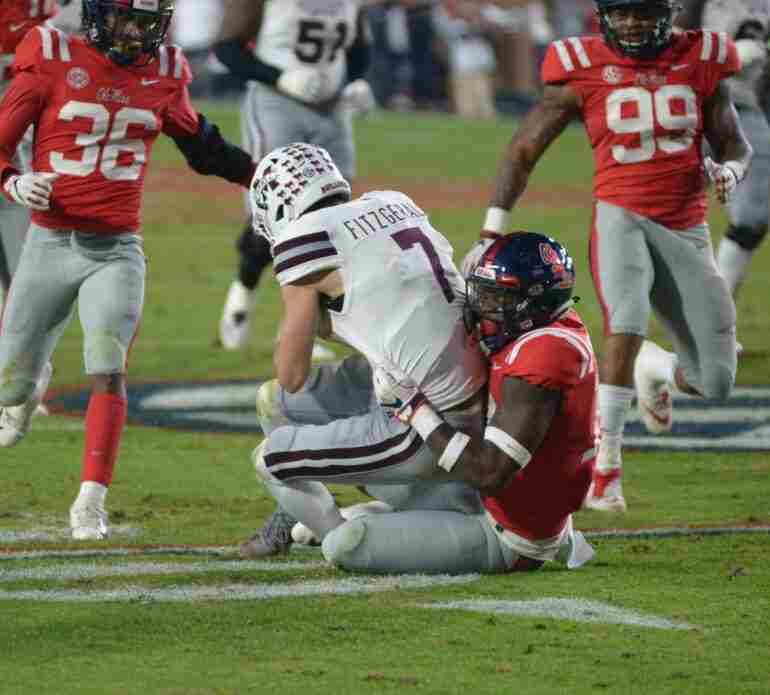 Ole Miss finished out the 2018 season with a 35-3 loss to Mississippi State at Vaught-Hemingway Stadium. The Rebels end the campaign with a record of 5-7, 1-7 SEC. 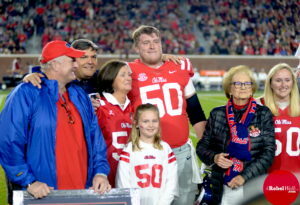 Ole Miss recognized 19 seniors prior to the game. While the night did not end with a victory for these seniors, this class has plenty to be proud of during their time wearing the Red and Blue. The seniors were freshmen when the Rebels finished 10-3 and ranked tenth in the nation, beat Alabama, and won the Sugar Bowl in New Orleans. Yet, the senior class should be remembered for its perseverance. When the NCAA handed down crippling sanctions against Ole Miss, these young men stuck with the program. The last two seasons have been difficult, to say the least. The team was short-handed and playing for nothing more than pride. Through it all, this team has played hard and fought until the end. When others wrote them off, these guys kept working hard each day. Regardless of what the scoreboard says, these seniors are winners who persevered through a difficult storm. Both A. J. Brown and DaMarkus Lodge wrapped up big seasons on Thursday night. Brown caught 4 passes for 61 yards, while Lodge hauled in 3 receptions for 54 yards. Brown ended his record-setting season with 85 catches and 1,320 receiving yards. Both marks are single-season school records. As well, he increased his Ole Miss record for career receiving yards to 2,984 yards with his effort against the Bulldogs. Lodge finished the year with 65 receptions and 877 yards. The 65 catches are the eighth-best mark in school history for a single season, while his 877 yards are the ninth-most in a single-season at Ole Miss. Kicker Luke Logan connected on his only field goal attempt against Mississippi State. The sophomore from Hattiesburg ends his season with 22 made field goals, tied for second place in a season in the Ole Miss record books. Punter Mac Brown averaged 43.7 yards per punt on his 6 punts against the Bulldogs. Brown set a career-high with a 65-yard punt on Thursday night. While the Rebels lose several key contributors to graduation, it is nice to know that special teams unit is stable with both of these guys returning next fall with solid seasons under their belts. Linebacker Mohamed Sanogo has been a consistent leader for the defense all season long. The sophomore standout recorded 8 tackles against Mississippi State to cap an outstanding season. Sanogo paced the 2018 Rebels with 112 tackles on the season. Three defensive players deserve some recognition for stepping up in the season finale. Defensive tackle Josiah Coatney led the Rebels with 12 tackles, a sack, and a forced fumble against the Bulldogs. 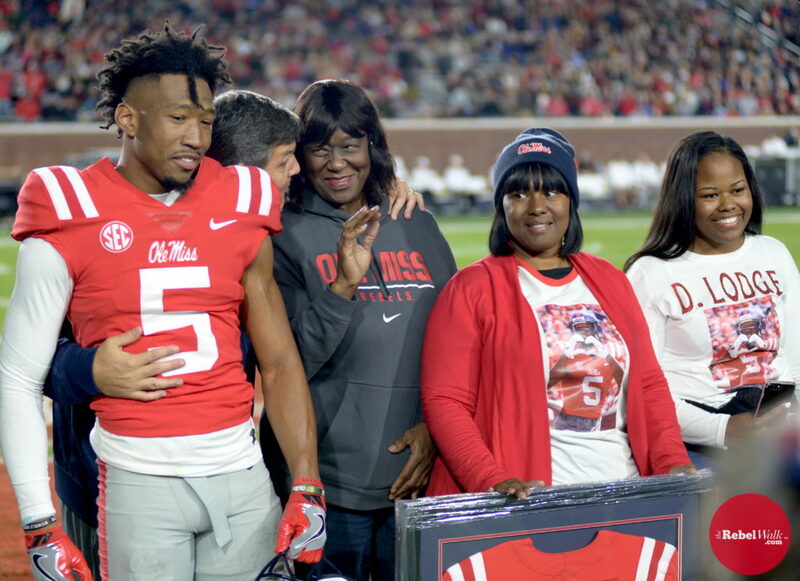 Senior Zedrick Woods registered 9 tackles and a pass break-up in his final game as a Rebel. Sophomore defensive end Ryder Anderson had a breakout performance with 9 tackles and 1.5 tackles for loss. Next article Matt Luke addresses the media and Ole Miss fans: "We will win here"